yummy, come on say it! Yummy, or “lekker” in my native tongue is the word that pops into my mind mostly when I think of food. So many people I know almost feel too guilty to admit that. Isn’t that sad! They’re dieting, always thinking about fats, and sugars, salt and whatever else has been deemed as something that might taste good, but should really be avoided. I feel so sorry for them. The Dutch even have a hand sign to go with ‘Lekker’ and I call it ‘wavy hands’. You put one hand or when it’s really REALLY yummy, you use two, and sort of wave them next to your ears. It means something tastes really good. And there is absolutely no shame admitting this. Food is there to enjoy. Cook healthily, use nice good ingredients, enjoy it. YUMMY! 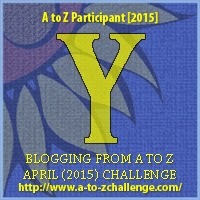 This entry was posted in A to Z challenge, Something Good and tagged a to z. Bookmark the permalink.